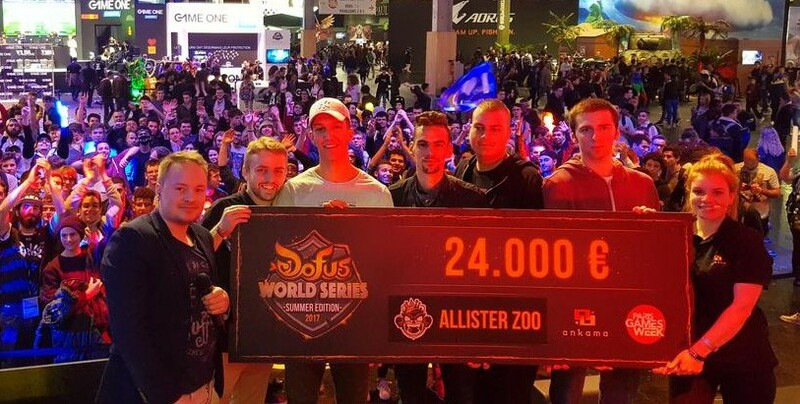 GamersOrigin is proud to announce the arrival of Allister Zoo, the current Dofus World champion team. GamersOrigin hires its first Dofus team, which is its eSport club’s fifth team. It is a true pleasure to work on an Ankama game, because we have an excellent relationship with the French games editor. The Dofus World Series are for instance broadcasted from our studio. We are always led by our will to support the best players and to work on the most promising eSport scenes. It is logical that we wanted to work on Dofus and with Allister Zoo, simply the best team on the MMORPG. We will provide to the players what they need to stay at that level. Esport is growing very fast on the game, especially since Ilyzaelle’s launch, a mono account server. 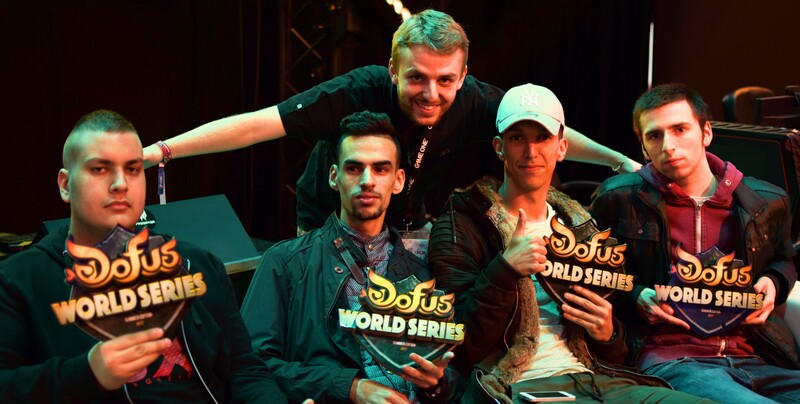 Finale of the first DWS, with a €60.000 cash prize, reached a 17.000 viewers peak and organizations as Millenium, which just announced its Dofus team, the Bad Gones, are looking into the scene. We are incredibly proud to welcome a new member in GamersOrigin’s family, especially on a game from the famous French games editor Ankama. We are working with it for months on the Dofus World Series. Ankama’s motivation to help eSport to grow on the game and it projects definitely convince us to make a move. It is a huge pleasure to welcome a team such as Allister Zoo. We will do our best to help them to win another title, with our colors. And of course we are waiting for a Millenium vs GamersOrigin derby at the newt DWS ! GamersOrigin’s Dofus line-up will enter the arena for the first time in March, for the Dofus World Series Winter Edition. As current title-holder, the former Allister Zoo players are invited to compete into the main event, with no need to take part in a qualifier. This competition will be an opportunity to win another main title, after the one claimed at Paris Games Week, and to extend the reign of the line-up on the world scene. I play Dofus for 6 years, since the 2.0. I never done any PvE or PvM, only PvP. I quickly learned how to master all classes and then I discovered tournaments. At the beginning I was only a viewer due to a lack of time, but 2017 was my year and I showed my strength. GamersOrigin is an organization I love, well-known in eSport and we are a nice family. I am playing Dofus for 8 years, I saw a lot of changes added to the game. I played many classes, but today I am only playing classes with a lot of damages. Those who watched the DWS Summer know that I love to play Ouginak. Today, I am mostly playing PvPm, PvE is only in order to optimize my strategy. I started Dofus 9 years ago on Allister, and I never left my nickname Casore. Honestly, I never thought that one day I’ll be part of a team such as GamersOrigin, and entering the eSport world is very exciting. I started Dofus in 2011 on Allister with Ghettonateur as pseudo, and I never changed it. I play every single class, even if I’d rather to be a Sacrieur. I didn’t choose to be an esport player, I only tried to do my best on the game. But today I am proud and excited to join an organization such as GamersOrigin !